NEW GIRL ONE AND THE GREASE GUNS 6 TRACK CD - TRANSMISSIONS FROM THE GLASS FACTORY - PRE-ORDER ! 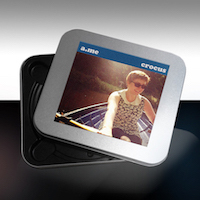 NEXT PHASE : NORMAL RECORDS - a.me - CROCUS - CD ALBUM (LIMITED EDITION TIN BOX VERSION) - PRE - ORDER NOW ! !